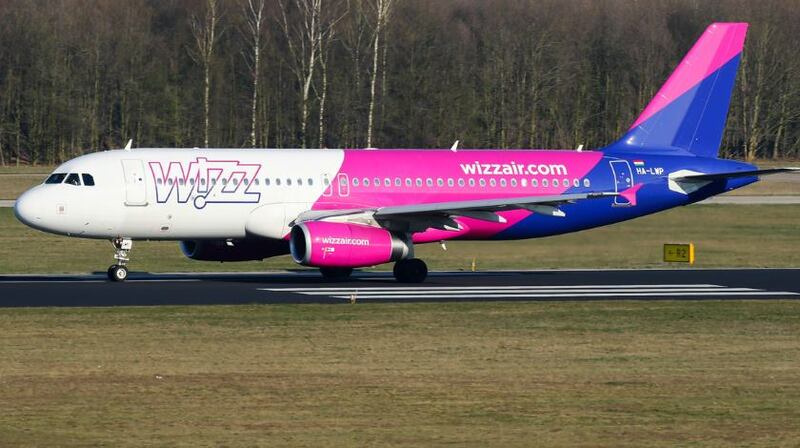 A Wizzair Airbus A320-200, performing flight from Nis (Serbia) to Basel/Mulhouse (Switzerland/France) with 180 people on board, was enroute to Zagreb (Croatia) when the crew decided to divert to the city airport reporting smoke in the cockpit. The aircraft turned around and landed safely on Zagreb’s runway 05 about 33 minutes after leaving FL360 and turning around The airport reported the aircraft diverted due to smoke in the cockpit, after landing two passengers and a crew member asked for a medical check. The occurrence aircraft departed Zagreb about 3.5 hours after landing and ferried to Skopje (Macedonia). A replacement A320-200 registration HA-LPS positioned from Kattowice (Poland) to Zagreb, resumed the flight the following morning and reached Basel/Mulhouse with a delay of 12.5 hours.